LED (light emitting diode) lights are low-current electronic components. As such, they cannot be connected directly to a typical household battery without running the risk of burning out from too much current. To prevent a single LED (or chain of LEDs) from burning out, a resistor load is placed in the circuit to limit the amount of current that flows through the LED(s). Typical LEDs operate within a range of a few milliamps of current and under 3 volts of direct current power from a battery. 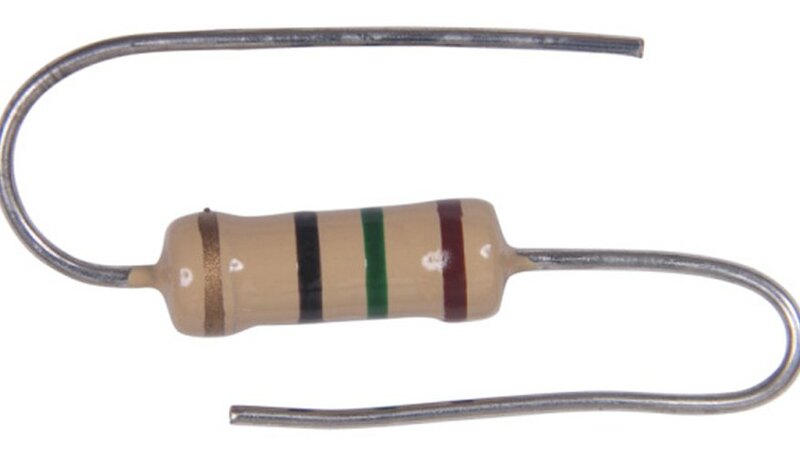 A resistor load of approximately 100 ohms will prevent a common 5 mm red LED from burning out. Tin a 100-ohm resistor and a red LED by melting solder over their leads. Solder one lead of the resistor to the short lead of the red LED. Resistors are non-polar, so either end will do. LEDs, however, are polar; therefore, polarity must be observed in the connections. The short lead of the LED is the cathode (negative) lead. Solder one end of a copper wire to the remaining resistor lead. Solder one end of a second copper wire to the long lead of the red LED. The long lead is the cathode (positive) lead of the LED. Hold the negative side LED/copper wire to the negative terminal of a 1.5 to 3.0 volt battery. Hold the positive side LED/copper wire to the positive terminal of the battery. 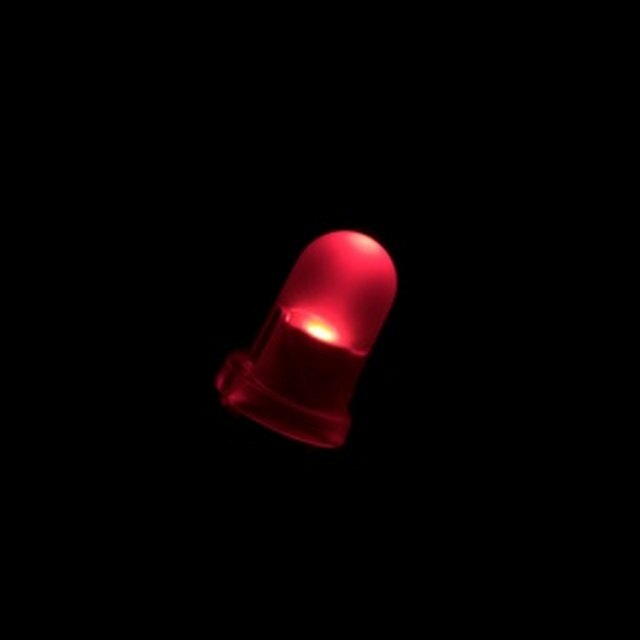 The red LED will light and will not burn out. Vary the values of resistor used. Larger resistors will cause the LED to glow dimmer. Smaller resistors will cause the LED to glow brighter. However, too small of a resistor (or too large of a battery) will cause the LED to get hot and burn out. Soldering irons are hot enough to cause severe 3rd degree burns; use with caution when soldering. Avoid breathing in the fumes from the melting solder. Solder fumes contain traces of lead, a known neurotoxin. Since 1999, Timothy Boyer has worked as a freelance writer. His career began as a science columnist with "The Northwest Explorer" and as a science writer with McGraw-Hill publishing's Power Web Series of educational articles. Boyer has a Ph.D. in molecular and cellular biology from the University of Arizona. Boyer, Timothy. "How to Wire Resistor Load in LED Lights." Sciencing, https://sciencing.com/wire-resistor-load-led-lights-8596614.html. 24 April 2017.